Expand your favorite games across multiple displays with AMD Eyefinity technology for an incredibly expansive field of view. Get the freedom and flexibility to upgrade. 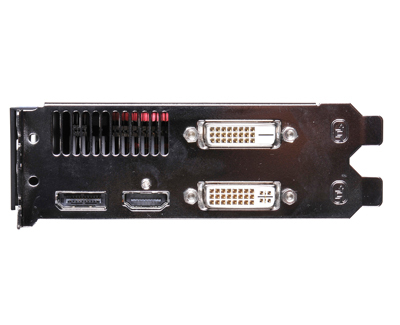 This modular solution enables you to add more displays when you need them. Get more done. Put your productivity into overdrive and let up to three displays put all the information you need right before your eyes. Don’t choose between play and work. Let up to three displays help you enjoy games, movies and the web at the same time. Be ready for the hottest DirectX® 11-capable games with AMD’s second generation graphics with full DirectX® 11 support. With lightning-fast frame rates and ultra-realistic effects, the AMD Radeon™ HD 6800 Series enables an amazing HD gaming experience. With outstanding tessellation performance, AMD Radeon™ HD 6800 Series graphics are designed to deliver the realistic detail that you deserve. Accelerate the most demanding applications with AMD Accelerated Parallel Processing (APP) technology. Do more, faster. 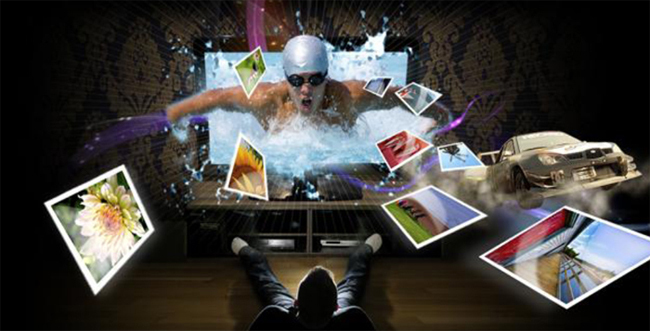 Maximize your online and Blu-ray video experiences with a new level of smooth visual quality with AMD EyeSpeed visual acceleration technology. Take advantage of AMD Radeon™ HD 6800 Series graphics’ Dolby True HD and 3D HDTV support to create that theatre-quality experience. 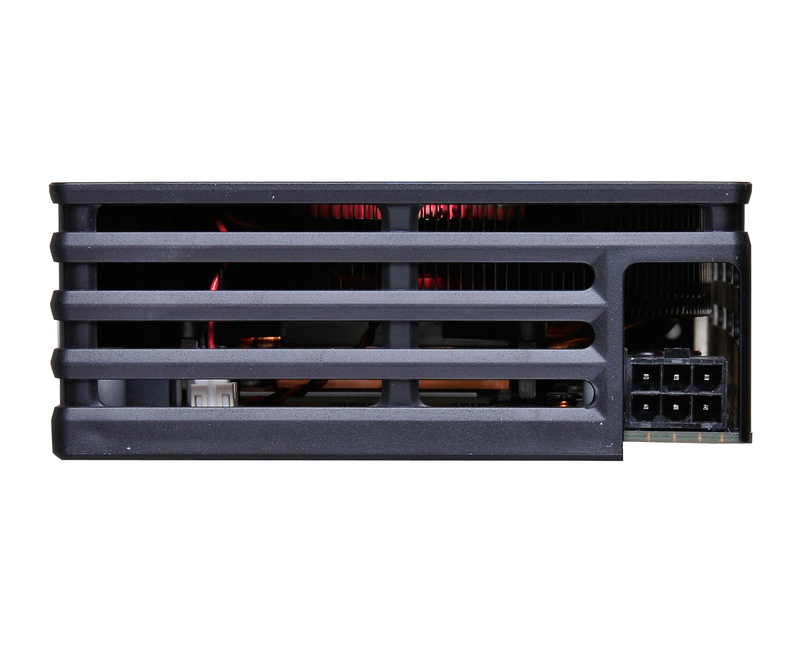 TriDef® 3D Experience software enables the conversion of 2D to 3D content with the support of AMD Radeon™ HD 6800 Series graphics. This is a fantastic card for the serious gamer on a budget. I'm very satisfied that you can play the latest games in full HD 1080p without lag. 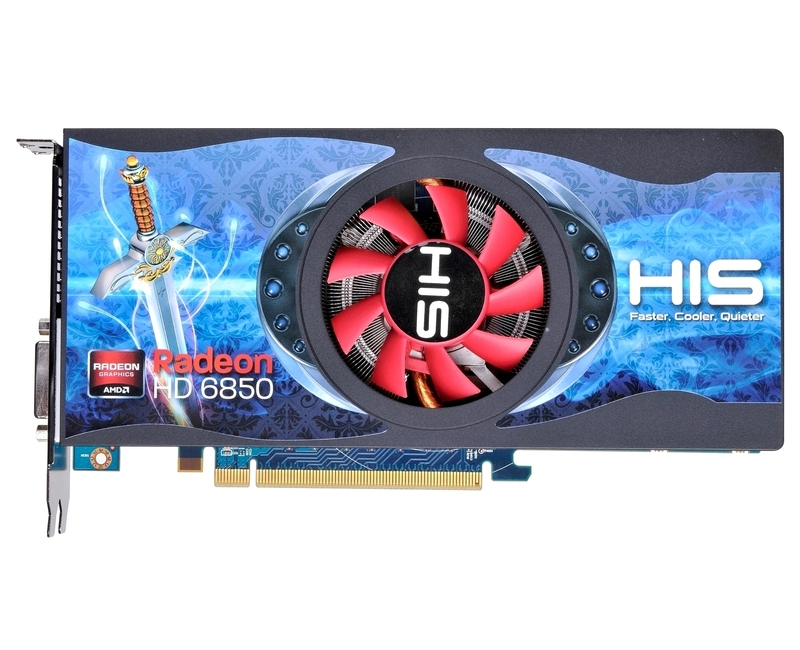 For all you gamers who are on the cheap, this HIS HD 6850 is the card for you. Best choice for price value! I have one for about one year and i am very satisfied. This is a beast of a card at this price point. Maxes out most of the games at 1080p and even at load the noise level isn't all that high. Temperatures are also quite good. Idling around 40s and at heavy load stays below 75C. 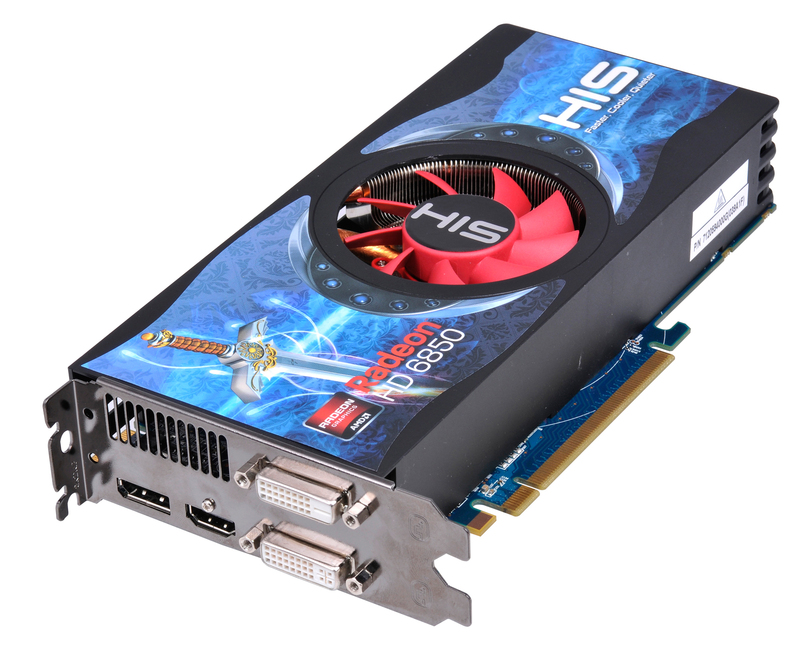 Want a good quality card that plays all the latest games at 1080p. The 6850 runs at a cool 68c under load with an ambient of 27c. The card it self is surprisingly powerful and quiet. HIS 6850.....It work on DG43NB MOTHERBOARD. "The HIS HD6850 not only performs well at the stock speeds but overclocks very well so we can get even more performance out of it. it is a good cooler that keeps the card cooler than a reference board With a score of 8/10" Bjorn3D "Silver Bear Award"
"When we tried to increase frequencies on the graphics card, it was difficult to find the limit. 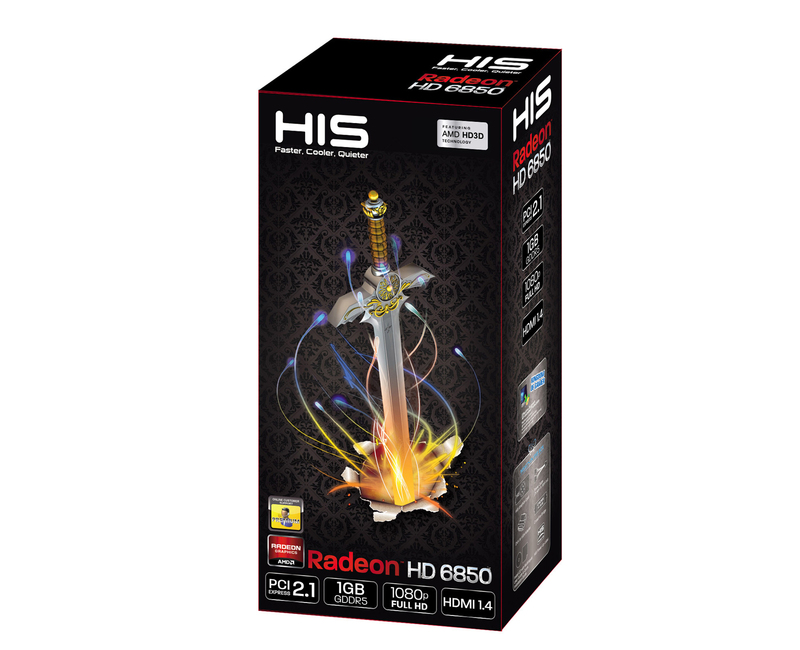 Radeon HD 6850 är ett utmärkt grafikkort att överklocka. Radeon HD 6850 is a great video card to overclock.... Power consumption is low and on par with the GTX 460 768 MB. "-Mikrodatorn "Recommended Product"
"Just as expected, the HD6850 had a LOT more to offer in terms of overclocking than the Catalyst had shown.The HIS HD6850 also got up to 1000 MHz, which is also very impressive." 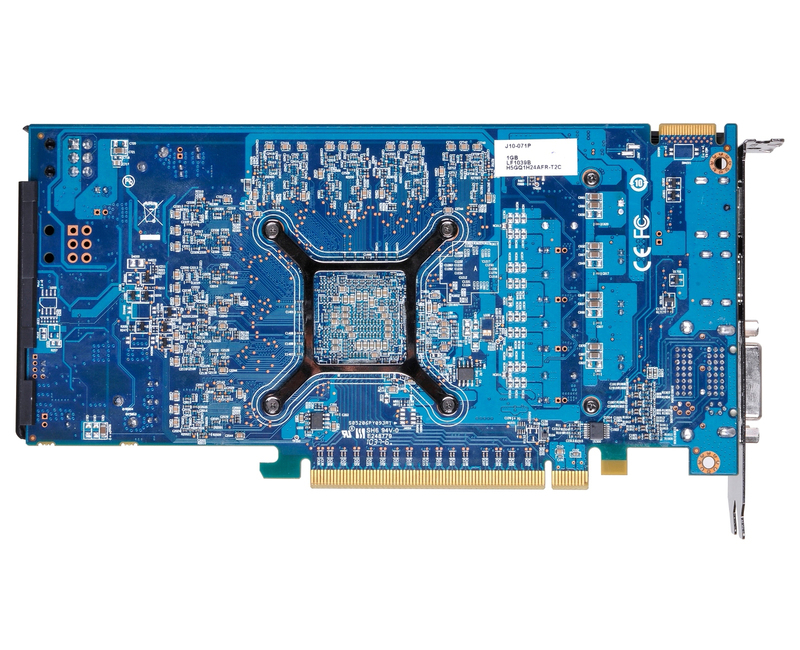 Metku "Gold Award"
"though imrpovement of speed, cooling system and card size, HIS HD 6850 1024MB 256-bit GDDR5, PCI-E remains a non-standard product in terms of layout and JI." - iXBT.com "Original Design"
"The HD 6850 is an excellent graphics card. In the DX11 gaming benchmarks Metro 2033 and Alien Vs. Predate it sets new benchmarks in its price class. Overall, the card is fast enough to enjoy the latest games in HD"- PC Go "Sehr Gut Award"
"new tesselation calcul unit, UVD 3, new video interface support, 3D...Regarding the HIS product especially, the reviewer find it quiet when idle and not to loud when in charge.For the temperature ,measurement are of 45°C under windows and 77°C under Furmark that are very good values to the reviewer opinion." - PC Jeux. 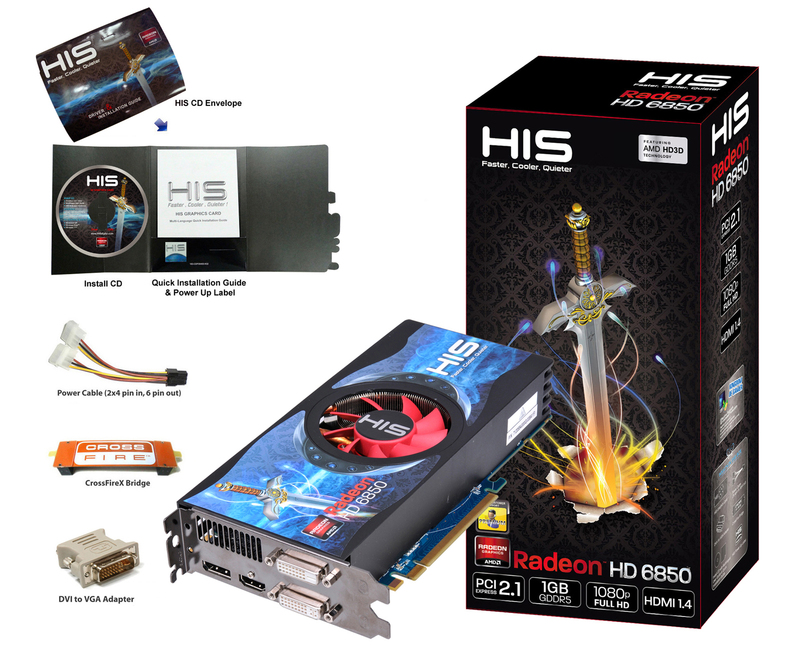 "90% score"
"the cheapest available on the market, the HD 6850 card" - NVISION "Recommedntation Product"
"The HIS HD 6850 1GB GDDR5 Video Card is one of the best bang for the buck video cards out there. While it doesn't scream performance it is affordable and is jam packed full of features. Get a couple of these in a Crossfire setup and you're rockin'" - 3D Gameman "Gameman's Choice"
"The performance of the card is really good at this price point, and sits in the lower mid-range very well. HIS Radeon 6850 1GB either matched or beat our comparison card, I think they are being a little conservative here, or perhaps that's the point. The 6850 will perform better than or at least the same as a more expensive GTX 460 1GB." - Viperlair "Recommended Product"
“(Referring to HD 6850) GTX 460 1GB performance at GTX 460 768MB pricing, and with GTS 450 power draw. Really, what’s not to love? Tessellation performance has improved, power draw has dropped and heat has also dropped while keeping noise levels the same. 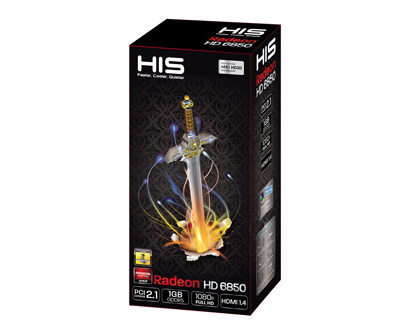 Then there’s the fact that it performs pretty much in line with a HD 5850 for less.” TweakTown "Editor's Choice"
"It's really a budget gamer and if you're not gaming then there are dozens of cards which will run your desktop and HD movie needs, but if you are looking for a 3D compatable HTPC card then this could be right up your street!" - Overclock3D - "Bronze Award"
"HIS also managed to reduce power consumption even further, boosting performance per Watt some more. Improvement in performance per Watt" - TechpowerUp - "Recommended Award"
“The Radeon 6850 offers plenty of performance for today's games. This product simply makes really good sense. It will bring a lot of value to the table but will also allow you to play your games at 1920x1200 extremely well. From a price point of view that makes this product really nice. The two cards tested today run beautifully, seem faster than the reference GTX 460 cards and can even match the GTX 470. 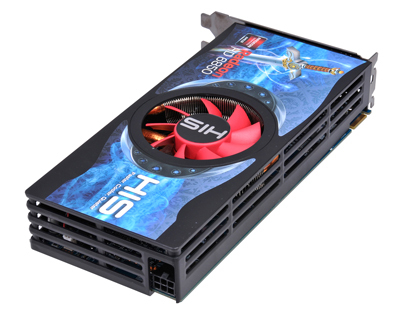 The cards neither are noisy or running hot and the overall game performance really is spot on.” - Guru3D "Recommended"